Advertise in Lifestyles at Grand Hampton! Marketing to your community makes sense! ©2019 Lifestyles at Grand Hampton. All rights reserved. Lifestyles at Grand Hampton is currently published monthly, distributed by the U.S. Postal Service free to all residents of the Grand Hampton area and advertisers. 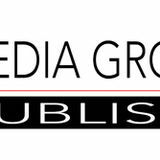 Unless otherwise noted, the views expressed in this publication do not necessarily represent those of the Publisher. 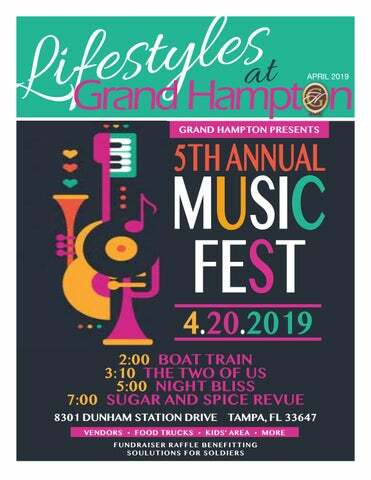 Lifestyles at Grand Hampton is not an officially sanctioned publication of the Grand Hampton Association. Grand Hampton logo used with permission. Lists are for reference only and do not imply official sanction or recommendation by Lifestyles at Grand Hampton. Editorial submissions are welcome. Publisher reserves the right to reject or edit all submissions for length and clarity. The Publisher is not responsible for errors or omissions. “DONNA K.” KEMPINSKI GRAND HAMPTON RESIDENT & SPECIALIST Broker Associate, Keller Williams Realty Over 30 years of Real Estate knowledge & dedication. Visit my WEBSITE AT: www.DonnaKFloridaHomes.com Scan the QR for property searches. Call for a FREE Market Analysis and Current Housing Activity in Grand Hampton & Surrounding Areas. Annuals: New varieties of coleus do well in sun or shade and provide vivid colors and patterns for months. Bulbs: Planting early-, mid-, and late-blooming varieties of daylily ensures months of color from these low-maintenance plants. Herbs: Add nasturtiums to your herb garden. The leaves and flowers add a peppery zest to salads. Vegetables: Continue planting warm-season crops, such as beans, sweet corn, and squash. Mulch well to prevent weeds and provide water if the weather has been dry. Pests: Monitor landscape plants weekly for aphids on tender new growth. Flowering plants: Check for thrips if leaves and/or flowers of gardenias and roses are damaged. Perennials and bulbs: Divide clumps of bulbs, ornamental grasses, or herbaceous perennials to expand or rejuvenate garden beds or to pass along to friends. Lawn insects: Rule out cultural problems, such as lack of water, that resemble insect damage before applying a pesticide. INFORMATION PROVIDED BY UNIVERSITY OF FLORIDA IFAS EXTENSION, FLORIDA GARDENING. What you need to know to RSVP for Lifestyle Events 1. Visit our Website: Visit www.egrandhampton.com to see upcoming events and click on the image of the event on the home page or on the event on the community calendar to bring you to that event’s page and click the “RSVP here” button. NOTE: Any event with a star next to it on the online community calendar needs an RSVP. 2. Know your log-in information: If you do not have one set up or need help, please email the website administrator at info@connecttoneighbors.com for assistance. Reminders for Driving in Grand Hampton • Speed limit is 25 MPH. Please drive within the limit. • Please come to a complete stop at Stop signs. • The vehicle in the traffic circle has the right of way, please yield. • When parking in your driveway, please do not block sidewalk passage. Blocking sidewalks violates the Americans’ With Disabilities Act, a federal law, and causes an unsafe situation when pedestrians are forced to walk in the streets. ummer camp fun is now just a click away, with online-only registration replacing the long registration lines of years past. Pasco County Parks, Recreation and Natural Resources (PRNR) summer day camp registration opens online Saturday, April 6, 2019, at 10:00 a.m. The seven-week camps for elementary and middle school children run from June 10 to July 26, 2019. Campers will experience fun activities including games, sports, arts and crafts, field trips, movies, guest speakers, special events and much more. Children can be registered for the entire summer or just for select weeks. Day camp fees, ages and times vary at each location. Payment is due in full at the time of registration. A free lunch and snack will be available at qualifying summer day camp locations. Camps are offered weekdays at the following locations: Centennial Middle School, J. Ben Harrill Recreation Complex, James Irvin Civic Center, Land O’ Lakes Community Center, Land O’ Lakes Recreation Complex, Odessa Park Community Center, Rushe Middle School, Shady Hills Community Center, Starkey Park (Nature Camp), and Veterans Memorial Park. The first day of registration is for Pasco County residents only, and space is limited. PRNR recommends parents or guardians create or update their account information prior to registration opening day. For account creation and registration, visit: bit.ly/PascoCreateAccount. For summer day camp locations, ages, times, fees and important registration information, please visit bit.ly/PascoSummerDayCamp or call 813.929.1229 for more information.